Visit the Awasi Patagonia Lodge with Surtrek and explore in Chile’s Torres del Paine National Park with a personal guide, selecting from excursions such as hiking to panoramic views, horseback riding beneath the towering spires or taking in the icebergs from Grey Glacier. On Sojourn Bicycling & Active Vacations’ new tour in France, explore the dramatic landscape of the Alps by bike and stay in luxury accommodations. Start at the picturesque lake in Annecy, ride a Tour de France climb and finish at the foot of Mont Blanc in Chamonix, resting at a Relais & Chateau hotel. Camp in style on a classic Inca Trail trek to Machu Picchu in Peru. After acclimatizing in luxury accommodations in Cusco, enjoy hot showers, fine cuisine in a portable dining tent, a cot to sleep on and excellent service during the guided trek through spectacular Andean scenery to the Inca ruins. Ride nearly 1,800 miles across South Korea and Japan on TDA Global Cycling’s newest hotel-to-hotel tour, the Journey to the East. Pedal through modern cities and over lonely mountain roads, past temples, volcanoes, hot springs and heritage sites. At Wyoming’s 25,000-acre Red Reflet Ranch, spend the day riding horses, shooting, herding cattle and learning the ropes. Once the work is done, sit down to a gourmet meal made of beef from the ranch’s butcher shop and produce grown in its garden before retiring to a luxury chalet. On a new itinerary from Riviera River Cruises, cruise through the Rhine Gorge to Switzerland, then travel by train into the Alps, climbing over jaw-dropping precipices aboard the famed Glacier Express. In Zermatt, explore the trails on foot or ride a cog railway to 10,000 feet. Cast for big brown and feisty rainbow trout in Argentine Patagonia with Frontiers and stay in the new Alumine River Lodge, which offers comfort and unparalleled access to the Pilolil Canyon and numerous tributary rivers and spring creeks. Gravel and Wine: On a new trip with Tourissimo and Ride & Seek, cycle the hallowed gravel strade bianche (white roads) of Tuscany through rolling hills covered with vineyards and quaint medieval villages, and enjoy the food and wines of one of Italy’s finest culinary regions. Rent a luxurious mountain home in Montana’s exclusive Moonlight Basin community and ski Big Sky Resort’s 5,800 acres of steep and deep terrain. 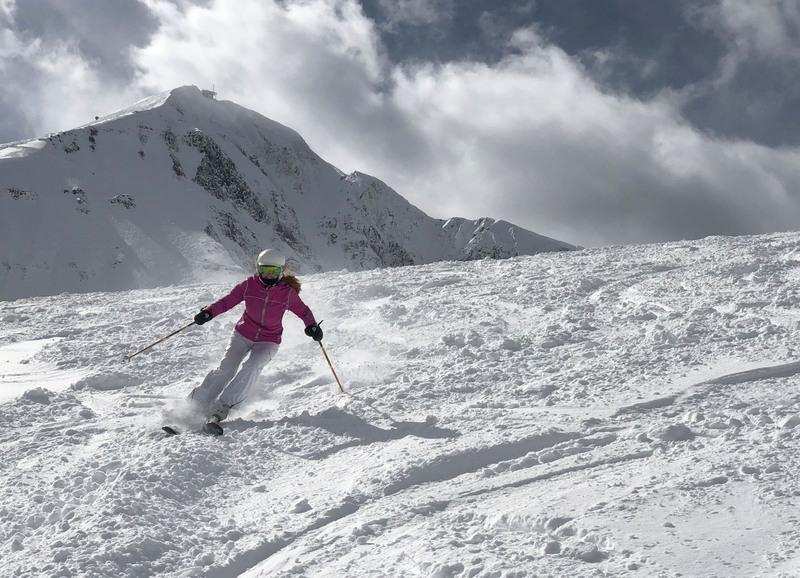 A stay at Moonlight Basin also provides access to the private Moonlight Lodge, and Nordic skiing, snowshoeing and fat biking on snowy trails. Cycle from Bangkok to Phuket, Thailand, with Grasshopper Adventures and take in the Gulf of Thailand, Khao Sok National Park and the Andaman Coast from the saddle, then rest at a four-star hotel, a golf resort and a beachside resort. Explore wild and wooded Siberia on a MIR Corporation trip in winter, when Lake Baikal freezes hard enough to travel over its surface. Dash through the taiga on a traditional troika ride, race teams of sled dogs and sweep across the frozen lake by hovercraft to sacred Olkhon Island.